The Code of Conduct Tribunal has fixed February 4 for the resumption of hearing in the charges filed against the suspended Chief Justice of Nigeria, Walter Onnoghen, Punch Metro reports. The Heads, (Press & Public Relations) Ibraheem Al-Hassan, disclosed this in a press release on Thursday. Onnoghen is facing six counts of false assets declaration filed against him by the Code of Conduct Bureau. 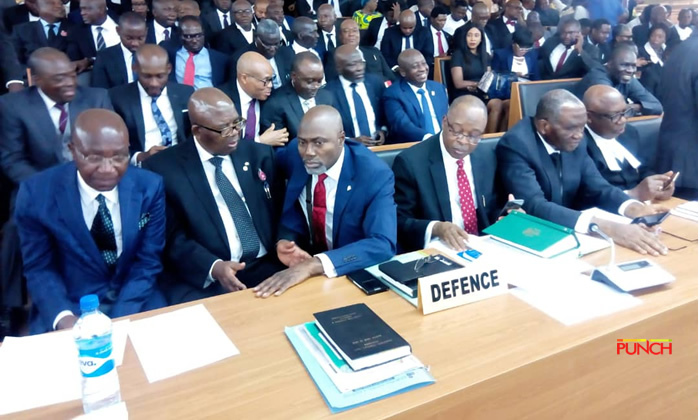 The tribunal had earlier adjourned sitting in the matter following an interim order of the Court of Appeal which ordered it to stay proceedings. But the Court of Appeal on Wednesday reversed the interim order by refusing to grant the interlocutory injunction sought by Onnoghen. The court said section 306 of the Administration of Criminal Justice Act has barred the court from stopping a criminal matter. The release said the tribunal fixed the new date after receiving a letter from the CCB.